F1 cars and equipment fly in cargo jets around the world when racing off-continent. Annual team budgets run from 50 million to 250 million U.S. dollars. 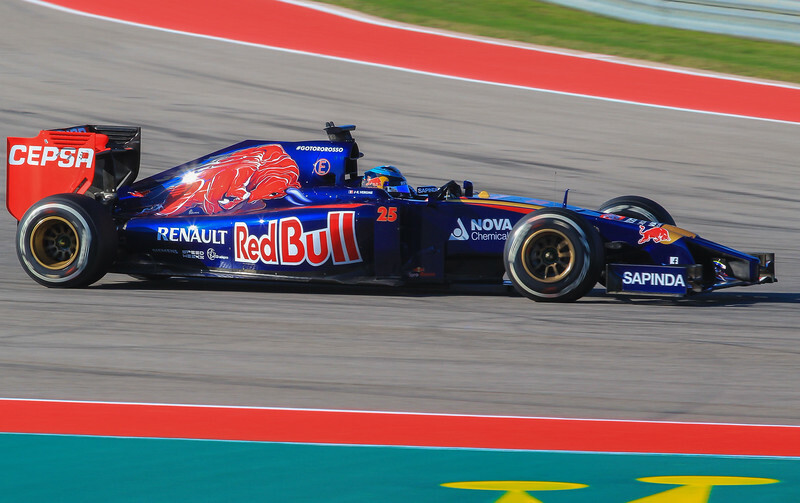 This is Jean-Eric Vergne in a Toro Rosso car. Each team brings two cars/drivers to the events.